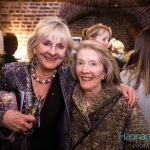 Reflecting upon our 5th Tait Winter Prom and our rapidly approaching quarter century, I feel overwhelmed by the wonderful support and goodwill we had for this event, as for all of them since our very first concert with Liane Keegan at Australia House in 1992. 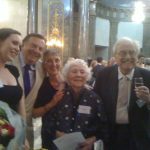 A major Australian scholarship holder, Liane‘s arrival in the UK in that year prompted me to think about how we might set about trying to help talented young Australians arriving to study and work in Europe, and thus the Tait Memorial Trust was born. 2016 was another big and busy year for us, with three successful events, in addition to the Winter Prom. In the 2016/17 UK academic year 19 young artists will receive assistance from us, of awards totalling £40,000, which is more than triple the sum of only three years ago. 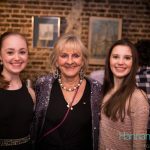 Especially pleasing is the support of young dancers through the Leanne Benjamin Awards, and we look forward to extending our relationships with individuals and corporations who recognise the challenges facing very young Australian dancers leaving home and family to follow their dreams. 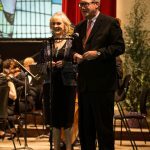 We also acknowledge a generous bequest from the Estate of Lady Mackerras, which will guarantee a ten year sponsorship of an orchestral chair for an Australian musician, in the Southbank Sinfonia, in the name of Sir Charles Mackerras. Heartfelt thanks to their daughter, Cathy, for appreciating and continuing the encouragement her father and mother always warmly extended to us. The Trust has been honoured with such generous and continuing support and friendship from HE The Hon. Alexander Downer, High Commissioner for Australia, and his wife Nicola, who were our guests of honour at the Prom. 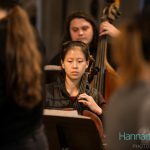 With the help of a new enthusiastic and hard-working Tait Artistic Planning Committee, we again formed a near all-Australian chamber orchestra, a number of whom have been supported by the Trust in their studies. Our conductor Jessica Cottis, who is chairing this committee, is fast gaining recognition internationally for her work, and we are so very lucky to have her inspirational guidance as we continue to support the next generation of talented young Australians who come here to complete their studies. We dedicated our first work, Mozart‘s Sinfonia Concertante for Violin, Viola and Orchestra K364 to our much loved Patron, The Dowager Countess of Harewood, on the occasion of her 90th Birthday. Once a professional violinist herself, this has special meaning for her. We are so grateful for Lady Harewood’s patronage over much of our 25 years – that she has wanted to share our cause has been very gratifying, and immensely helpful to us. A very happy 90th Birthday! We are also deeply indebted to the Commonwealth Bank of Australia, who have been our Principal Partner for the past three years. We hope, as they see the important work we do for the young Australians in this highly competitive arts marketplace here, that their very welcome support will continue. 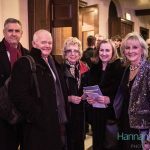 Chevalier Richard Gunter has once again generously sponsored our venue, this time the marvellous St John‘s Smith Square, and to our many individual sponsors and loyal supporters, all of whom we gratefully acknowledge below: we are so pleased to see your sponsorship growing year-on-year – we can‘t do without you! Please continue to help us in any way you can (Click here for further information). Next year is our 25th anniversary and our work goes on! Happy Christmas, we look forward to seeing you in the New Year. Our Winter Prom is only two days away. Here is a snippet of a piano run for violist, Lisa Bucknell; violinist, Alex Isted & accompanist, Chad Vindin, who are rehearsing Mozart’s Concertante for Violin and Viola K 364. 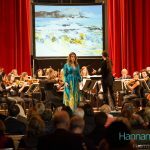 Lisa and Alex are both Masters graduates of the Royal College of Music and have already gained impressive solo and orchestral CV’s. Tickets are still on sale for our concert at St John’s Smith Square celebrating our very talented awardees who have travelled to the UK to complete their advanced musical studies. 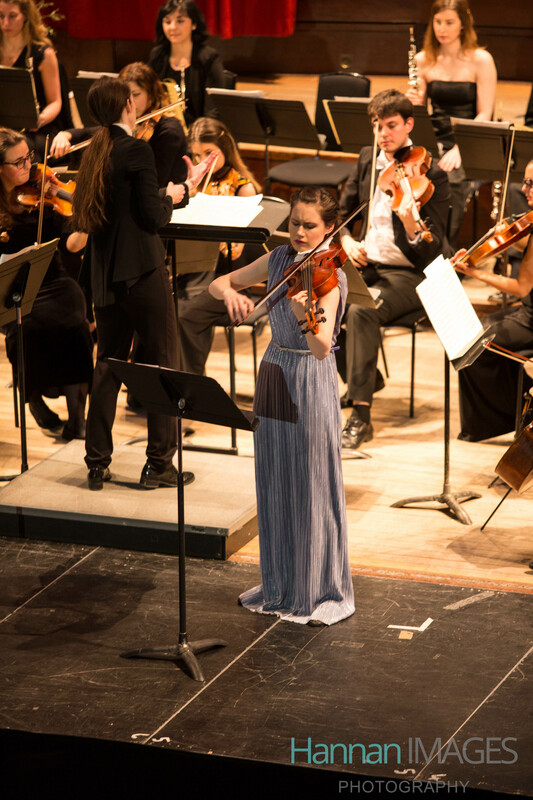 The Tait Chamber Orchestra will be conducted by Jessica Cottis. Concertante rehearsal for the Tait Winter Prom. We are thrilled to confirm that 2016 Tait Awardee, James Guan, will be playing in London’s famous recital venue, Wigmore Hall tomorrow morning, competing as the Royal Academy of Music finalist in the Intercollegiate Piano Competition. You can watch him on live stream, for those Aussies playing along at home it will be tonight at 6:55pm AWST and 9:55pm AEST. The Intercollegiate Piano Competition aims to provide students with an opportunity for outstanding students to perform at well known London concert venues. The final is open to the public. The four finalists will each perform a 45-50 minute programme of own choice including the compulsory work. The announcement of the winner is made approx. 15 minutes after the end of the last performance. The Jaques Samuel Pianos Intercollegiate Piano Competition has taken place annually since 1996. 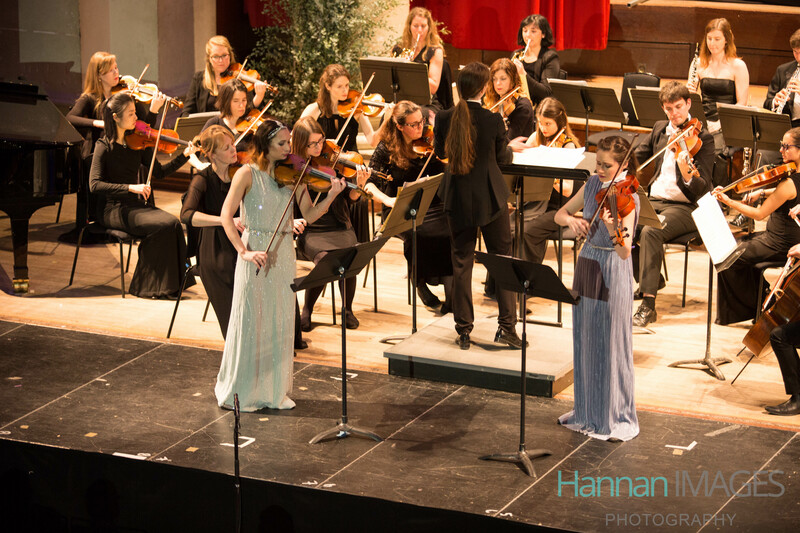 Our competition aims to provide students with an opportunity to compete against like minded musicians, to gain experience in piano specific competitions and give outstanding students the opportunity to perform at well known London concert venues. The competition heats begin in May with the final and semi-final in October. The winner will perform a solo recital at Wigmore Hall and at the Fazioli Auditorium in Sacile, Italy. The Wigmore Hall Recital will be recorded and he/she will receive 500 professionally produced CDs. 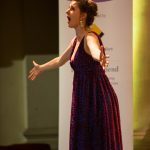 A further four entrants will win a solo lunchtime recital at St James’s Piccadilly. all students (first year to postgraduate) of the four main London music colleges: Guildhall School of Music & Drama, Royal Academy of Music, Royal College of Music, Trinity Laban Conservatoire of Music and Dance. or contact us by e-mail: competition@jspianos.com. The Tait Memorial Trust 5th Annual Winter Prom. The Tait Memorial Trust returns to St John’s Smith Square on Wednesday 30th November for their 5th annual Winter Prom. Now in its 24th year, the Trust supports young Australian performing artists who come to the UK to complete their advanced studies in music, dance and composition. We are delighted to confirm that the Australian High Commissioner, His Excellency, The Hon. Alexander Downer AC and his wife Mrs Nicola Downer AM, have kindly agreed to be our Guests of Honour. They have been such loyal supporters of the Tait Trust, and we look forward to welcoming them on the night. 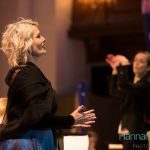 We are thrilled that Jessica Cottis has agreed to conduct and musically direct the Tait Chamber Orchestra, of young Australian musicians, and has selected the programme to showcase our award winners but also to acknowledge the tyranny of distance and the longing many of us feel for the wide open spaces of Australia. Proudly supported by the Commonwealth Bank of Australia we invite you to join us as we explore our memories of Summer. 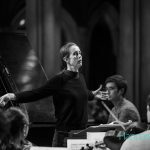 Australian conductor, Jessica Cottis is to conduct Chelsea Opera Groups concert performance of Borodin’s masterpiece, ‘Prince Igor’ at London’s, Cadogan Hall on the 22nd of October. Famous for its soaring melodies and dances the opera is sadly rarely performed. The cast includes Australian baritone, Joshua Bloom. Concert performance sung in English. 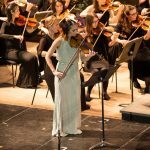 Jessica is to conduct our Tait Winter Prom at St John’s Smith Square on Wednesday 30th November. Libretto adapted by the composer from the Ancient Russian epic The Lay of Igor’s Host., which recounts the campaign of Rus prince Igor Svyatoslavich against the invading Cuman (“Polovtsian”) tribes in 1185. He also incorporated material drawn from two medieval Kievan chronicles. The opera was left unfinished upon the composer’s death in 1887 and was edited and completed by Nikolai Rimsky-Korsakov and Alexander Glazunov. First performed in St. Petersburg, Russia, in 1890. * Act 3 will be omitted in this performance. Russian opera’s most melodious epic was many years in the making. Like his colleagues in the Nationalist circle of composers known as the ‘mighty little handful’ (‘moguchaya kuchka’), Alexander Borodin had extra-musical fish to fry. His ‘other’ career, in fact, was the most distinguished of all; as Professor of Chemistry, he was responsible for a discovery still known to science as ‘the Borodin reaction’. The reaction he won in music was to his strong sensual vein and his knack of pouring forth good tunes (as the kitsch oriental musical Kismet acknowledged in the 20th century). Like most Russians, he was fascinated by the lure of the east, and the scenes in which Prince Igor of ancient Russia is detained in the camp of the hospitable enemy, Khan Konchak of the Polovtsian tribe, are among the most dazzling and brilliantly orchestrated in music: as well as the famous dances the genius quotient in the arias and duet is extremely high, even if his colleagues Rimsky-Korsakov and the younger Alexander Glazunov had a hand in completing many of the numbers during his lifetime and piecing together the whole opera following his death. The lyric soprano role belongs to Yaroslavna, the wife he leaves behind in his home town of Putivl – a foil to the siren song of the mezzo playing Konchak’s daughter, with whom Igor’s son Vladimir falls in love. So there are laments, celebrations, vigorous dance sequences and splendid choruses: the very essence of Russian opera. Tickets for the concert can be obtained from Cadogan Hall. We are delighted to introduce you to Jo Dee-Yeoh. 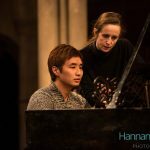 Jo is one of our musical awardees this year, and is continuing her Masters Degree in Performance at the Royal College of Music. 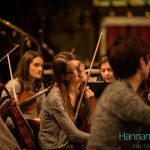 Jo is to play with the Tait Chamber Orchestra in our Tait Winter Prom at St John’s Smith Square on Wednesday 30th November. The Open Instrumental Finals Concert gave Townsville a chance to hear some of Australia’s finest up-and-coming musicians. Adjudicator Carl Pini had his work cut out for him, given that the standard of this year’s entrants were very high. Hailing from Melbourne, Cellist Jo Dee Yeoh opened the night with Dvorak’s Cello Concerto in B minor. Immediately, Yeoh proved herself to have complete control over the character and strength of her sound. The second movement provided an opportunity for Yeoh to bewitch the audience with her beautiful, lush low notes and song like phrasing. The third and final movement erased any doubt that the audience could possibly have about Yeoh’s technical prowess, as her fingers flew across all four strings with precision and vigour. We are delighted to share the news that Tait Awardee, Benjamin Mellefont is to play Mozart’s Clarinet Concerto on Thursday 13 October 2016 7:30pm & Friday 14 October 2016 7:30pm at Liverpool Philharmonic Hall with the ROYAL LIVERPOOL PHILHARMONIC ORCHESTRA. Benjamin was appointed Principal Clarinet of the Royal Liverpool Philharmonic Orchestra in October 2015. He has also performed as Guest Principal of the Philharmonia, Royal Philharmonic Orchestra, English National Opera, London Chamber Orchestra, Royal Scottish National Orchestra, Sydney Symphony and Sinfonia Cymru, as well as performing with the London Sinfonietta. He has played at the Salzburg, Edinburgh and Aldeburgh Festivals. 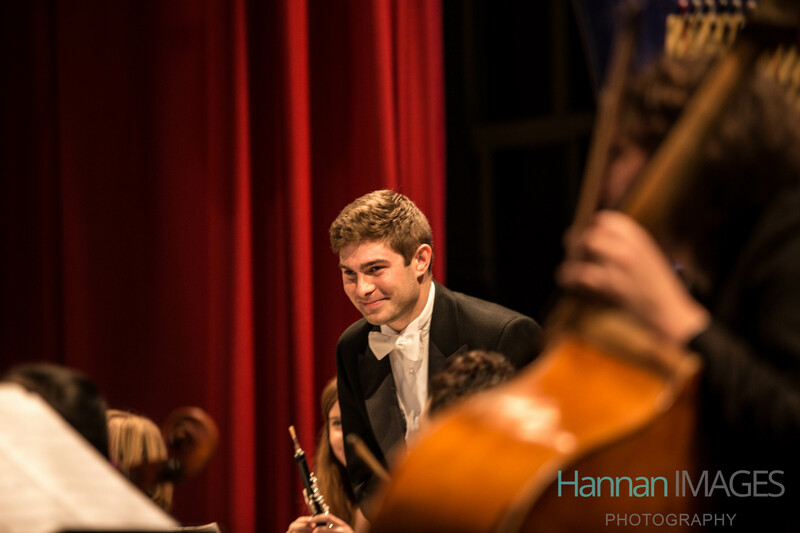 Benjamin joins us at the Tait Winter Prom at St John’s Smith Square, 30th November, to play Copland’s Clarinet Concerto with the Tait Chamber Orchestra, conducted by Jessica Cottis. 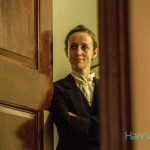 “Post-concert Question Time (Thursday 13 October) – starts 15 minutes after the concert in the Music Room. Join conductor Nicholas Collon and Principal Clarinet Benjamin Mellefont, in the Music Room after the concert. Shostakovich’s Fifth Symphony isn’t just a matter of life and death – it’s more important than that. Written as an answer to Stalin at a time when one wrong note would have landed Shostakovich in the Gulag, it’s one of 20th-century music’s true epics, told in music of raw feeling. 2015 is a pretty special year for me. 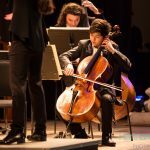 It’s the first year I’ve spent experiencing the 30’s, the first time my cello was swabbed and searched instead of me in an airport, and it’s the first time I’ve performed a concerto without a conductor – and with the Sydney Symphony Orchestra to boot. Speaking of, I must mention that all of these fantastic experiences happened during the month of May as a result of winning the inaugural Australian Cello Awards Grand Prize in 2014 (ACA Website, next competition in 2017). That was a highlight not soon forgotten in itself and I’m sure I’ll be hearing even greater things from CEO Roland Gridiger and his team at MOST. But as I was trying to say, my excitement grew endlessly (so too did practice) as my debut with the Sydney Symphony drew nearer. On the way to my first rehearsal, I was nervous about what to expect. There have been times in the past where the concerts haven’t lived up to expectations owing to insufficient rehearsal time or difficulties in communication. 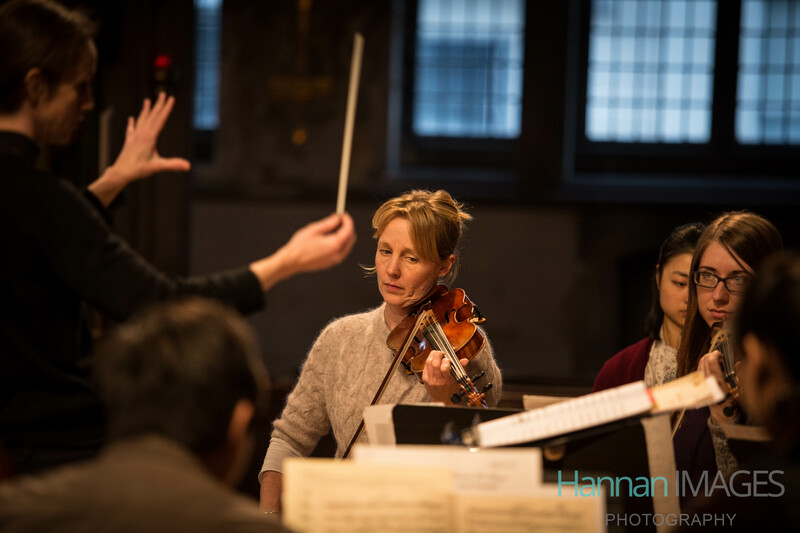 When I arrived I was greeted by the Concertmaster Andrew Haveron before meeting the Orchestra for some one-on-one time with the Bach Concerto; this is when general & interpretational decisions are brought up so there are fewer surprises during rehearsal. It was clear from the start Andrew was confident and accommodating – vital qualities for a good musician, and a good human being. A Concerto without a conductor is a trust building exercise, and it’s easy to lose your nerve or get too excited. There’s bound to be more communication between the musicians, leading to more ideas being aired, but you also better know the score intimately! 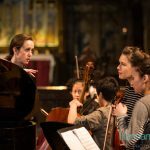 Not only will there be questions from the orchestra, knowing how the 1st violins bow a particular sequence of quavers or how the cellos phrase another section makes all the difference in rehearsals and performances, all the while giving a brilliant unique interpretation of the work. It’s not difficult when you play with a wonderful orchestra, to get carried away in the passion of a running passage and/or to indulge the slow movement so much everyone else thinks it’s like watching paint dry; it’s happened many times during my earlier years and I’m embarrassed to say that wasn’t too long ago, which is why I advocate discipline and self-control! Having said that, it doesn’t mean I’m to be lifeless on stage when not playing anything either. Here’s me and the SSO taking a couple of minutes off after the rehearsals to shred the piece we just spent hours rehearsing. (It’s definitely the SSO’s good nature that I’m allowed to get away with this…but what can I say? Music’s got to be enjoyed by the ones playing and the ones listening! About two weeks prior the SSO’s website had listed the concert as SOLD OUT which meant the only chance of securing a ticket was to wait and chance it at the returns desk. As a performer the adoration of your audience is key! Don’t believe me? Try playing for a hall half-empty (or half-full depending on your philosophical bend) and tell me you don’t wish you’d have given more love and attention to them more often; for a concert organizer that’s also a great reason not to see you again any time soon. I’m sure both the Australian Cello Awards and the Sydney Symphony have worked very hard to push this concert to the public, and if anybody else was involved, I thank you sincerely for making all of this a fantastically memorable event! Yelian, a former Tait Awardee, was a featured artist at the 2014 Tait Winter Prom at St John’s Smiths Square. He played Sollima’s thrilling duet for two celli with fellow Tait Awardee, Adam Szabo. Conducted by Kelly Lovelady and accompanied by the strings of the Tait Chamber Orchestra it was a highlight of the evening. The 2014 Tait Winter Prom was a landmark event for the Tait Memorial Trust at St John’s Smith Square, proudly supported by Australia’s largest bank, the Commonwealth Bank of Australia. 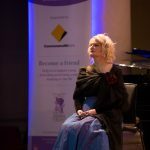 To see and hear our talented Awardees performing at one of London’s most prestigious concert platforms was thrilling…truly a great night for the Trust and for our young Australians we support. Now in our 23rd year Awards have increased by 30% from 2013 largely due to the more than three fold rise in Tait Friends subscriptions in 2014 and our loyal audience who come to our events and generously give towards our scholarship fund. Adam Szabo & Yelian He playing Sollima’s, Violoncelles Vibrez!